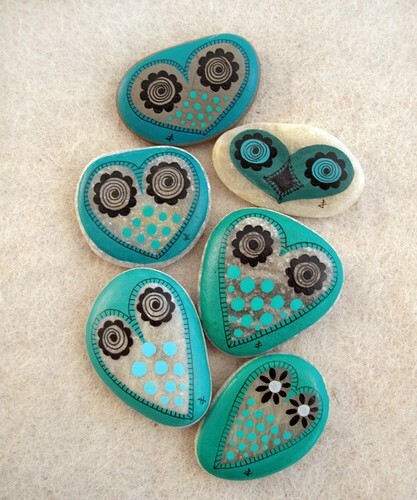 i love using items from the natural world for our craft projects. it’s a wonderful opportunity to get out for a hike or explore some hidden corner in our backyard, but mostly it’s a great way to connect my boys with their outside environment. 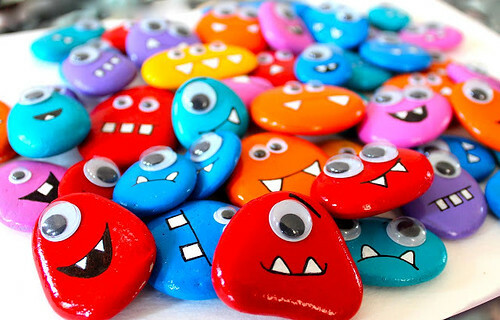 i have always collected rocks and now i watch my kids stuff their pockets or buckets with all sorts of rocks! bear and i have already discussed packing a few small bottles of paint for our summer road trip so that the kids can paint during our vacation. it’ll be a great a way to calm their beans and get them focused on something for a bit.so, i of course had to scour the interweb for some inspiration…. 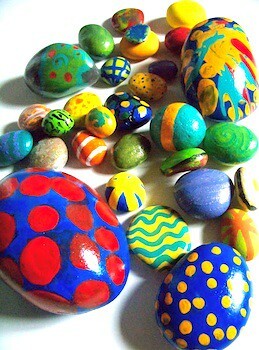 check out these beautiful rocks! i chose examples from a variety of different skill levels, styles and sizes, because i wanted to get your and my creative juices flowing! 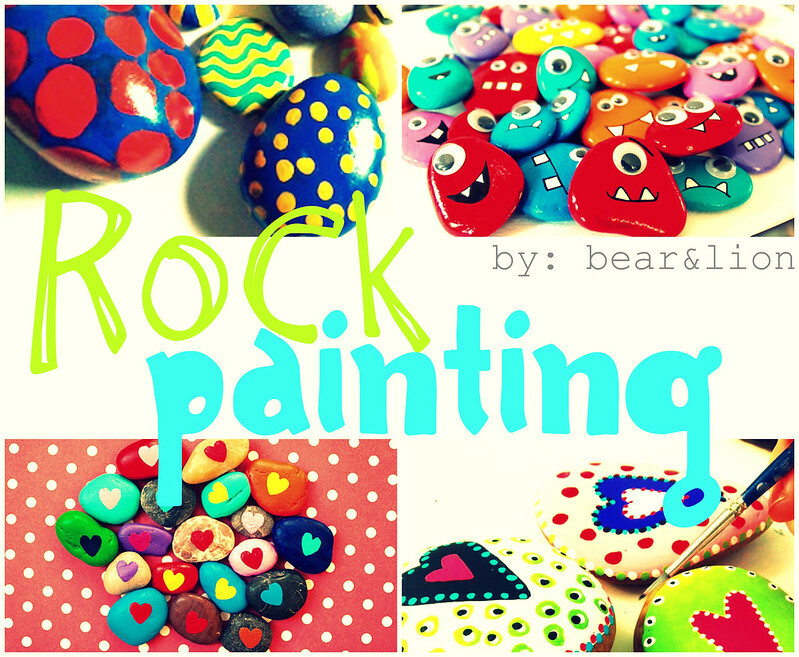 do you think you’ll be painting any rocks soon? can’t wait to share what we make on the road! 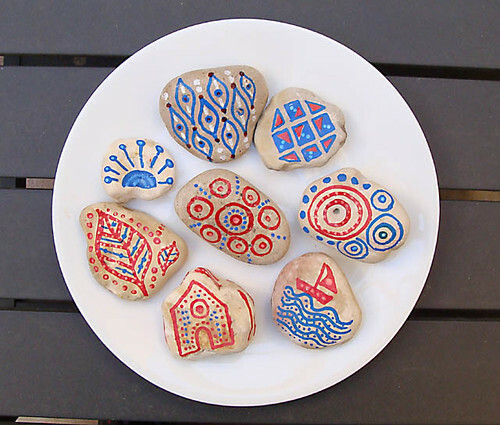 Yes, rock painting is on our summer bucket list! First attempt I just used my son’s washable paint which is not very durable. But I can’t imagine any paint is going to stick well! How fun! 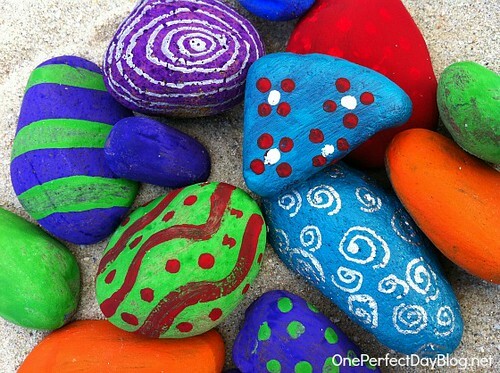 This is the perfect summer craft. I love the monsters and the owls best, I think. 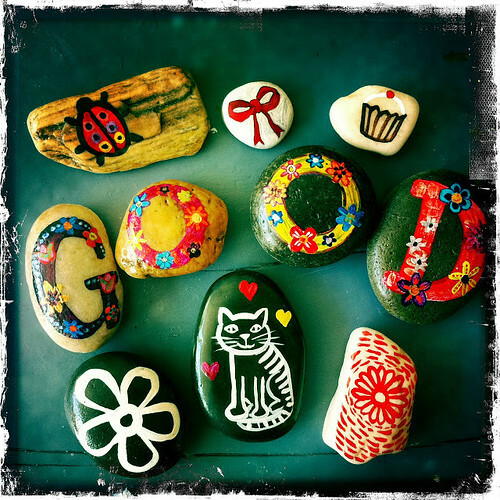 I tried this project before for Valentine’s and it didn’t work…I think I might had used the wrong kind of paint…but we’re still enjoying summer so there is time to give them another try. perhaps through your links I’ll be able to find a way of painting them without messing them up. These are amazing!! Great round up of ideas. Thanks for linking to Share It Saturday! I google +’d this. I keep meaning to try this. I also pinned a number of them. Oh wow! 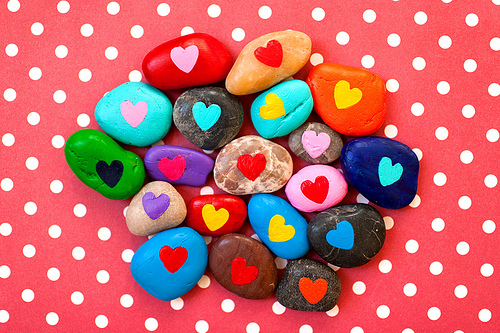 All of these rocks are so pretty! 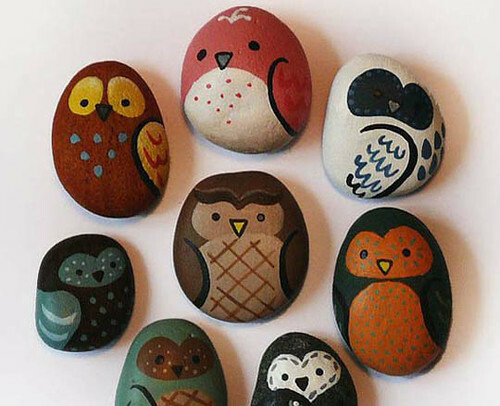 I really like the owls and the brightly colored modge podge painted rocks. What great inspiration! Love all of them! If you have any desserts you love, we’d love for you to come over to our newest link party over at The Inspiration Network: DELISH- a desserts only link party. Bring your desserts and let’s party!! I just love them all!!! 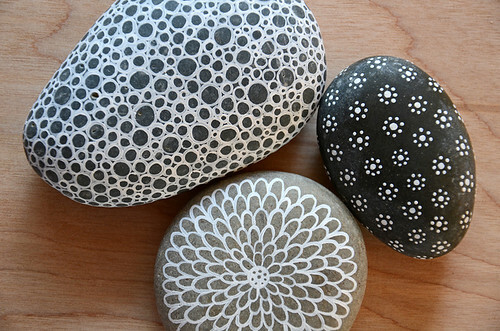 that is a great idea to make with rocks and brings life to wherever you put them! I’ll give it a try sometime! Thanks so much for sharing this with me at Bewitch Me & Titi! Hope to have you back with another awesome share! Hope you are having a wonderful week!!! 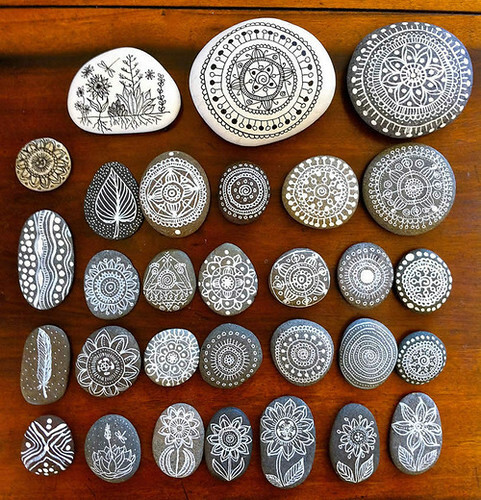 beautiful rocks but what kind of paint do you recommend? 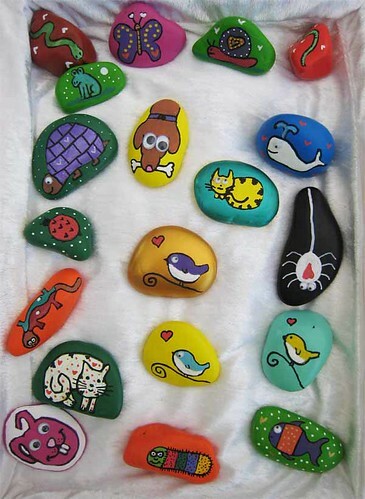 I have done several rock from Lin’s book and the paint does stick if done correctly (clean stones well) and are sealed good with her recommended sealer. 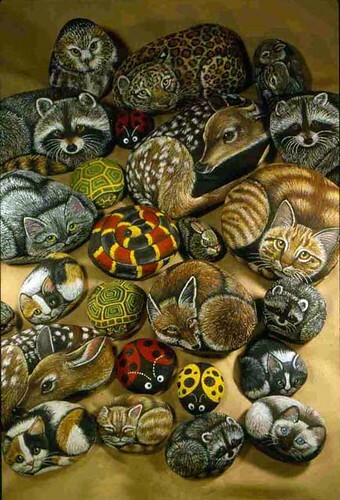 I have some of my rocks inside (raccoon family and fawn) because I enjoy seeing them every day! This is very fun to do but does take practice to get the shadowing and shading just right. Could I use Sharpies instead of paint? 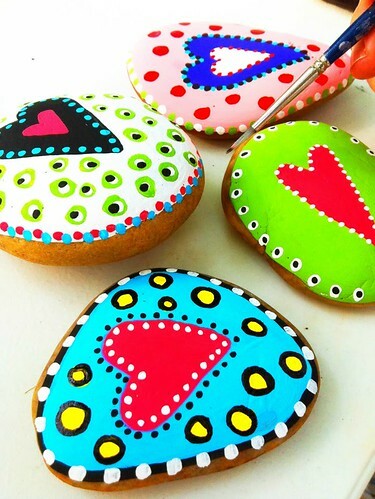 Love the rocks. What kinds of materials did you use to paint them? Did you use paint pens? Acrylic paints? Would love to know. I have used acrylic paints with great results, then used a gloss glaze when dry to protect. Got my paints & brushes at Micheal’s and Joanne’s. Also bought a few Molotow acrylic pens to play with. They make great dots!